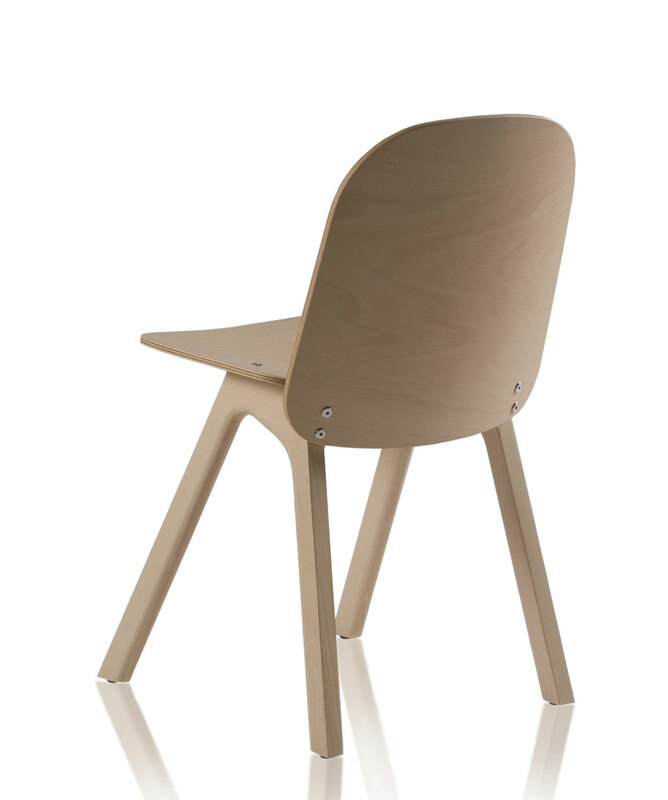 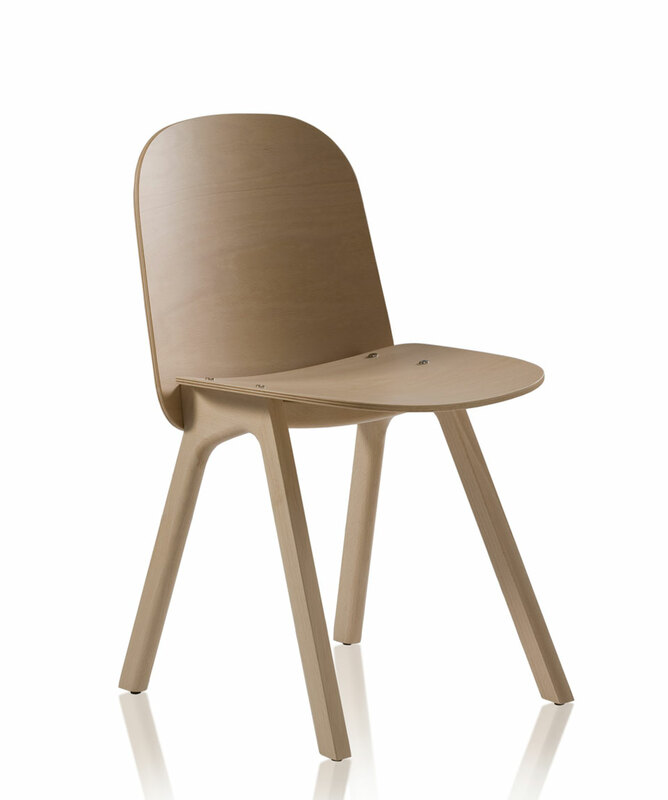 Solid wooden structure with seat and chair back in beech plywood, with powder coated steel base options. 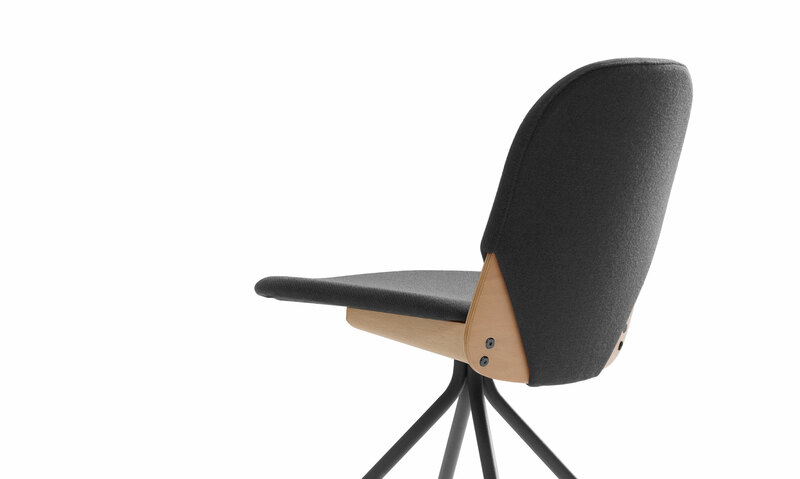 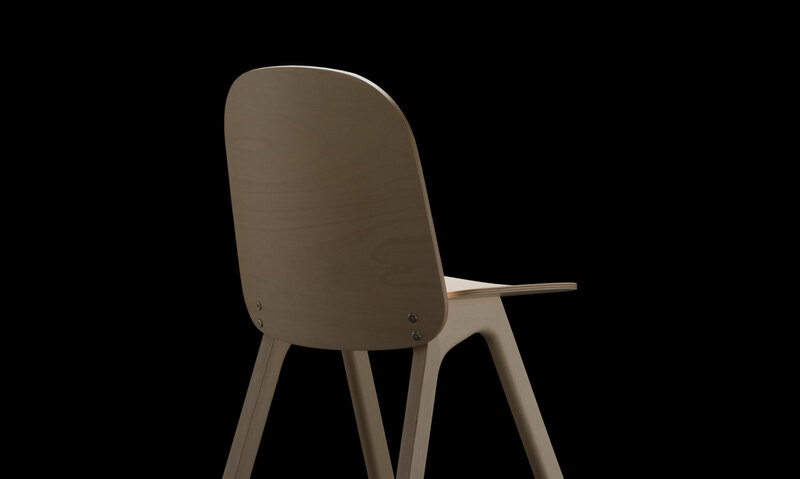 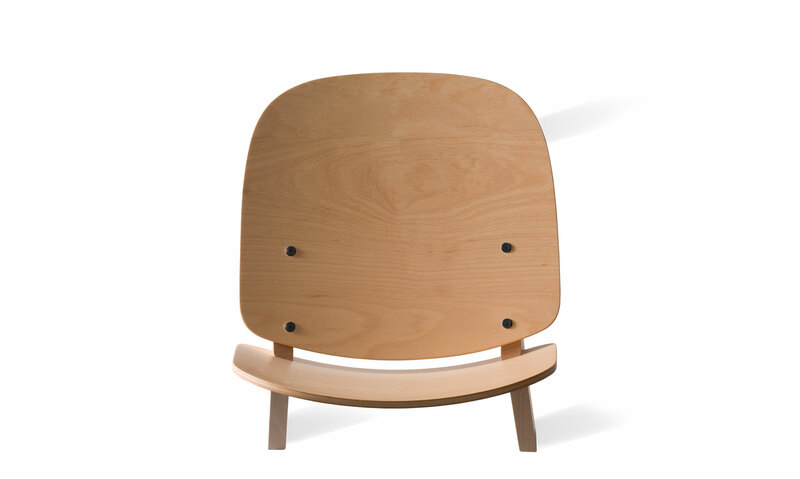 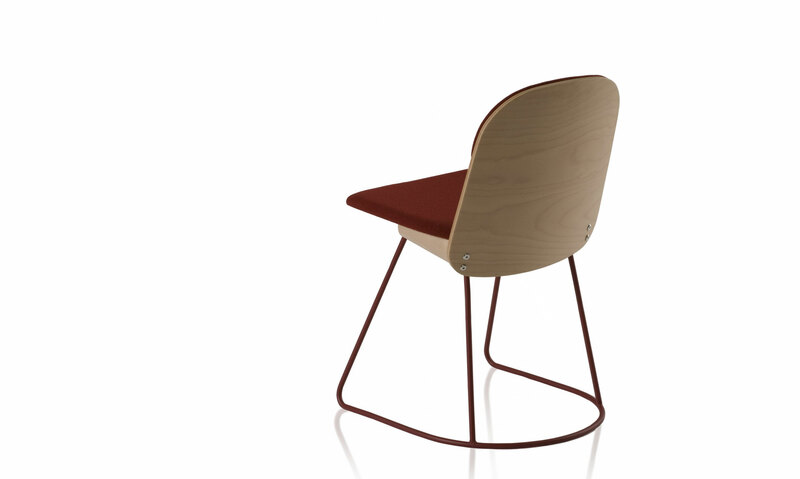 The chair features a forward facing cantilevered seat. 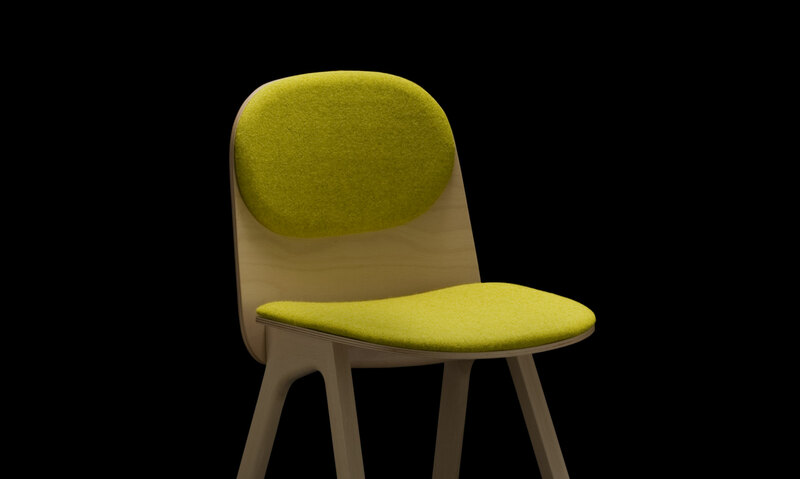 Although highly visual, its origins have little to do with aesthetics, rather it exists purely as a result of function and rational in the chairs construction. 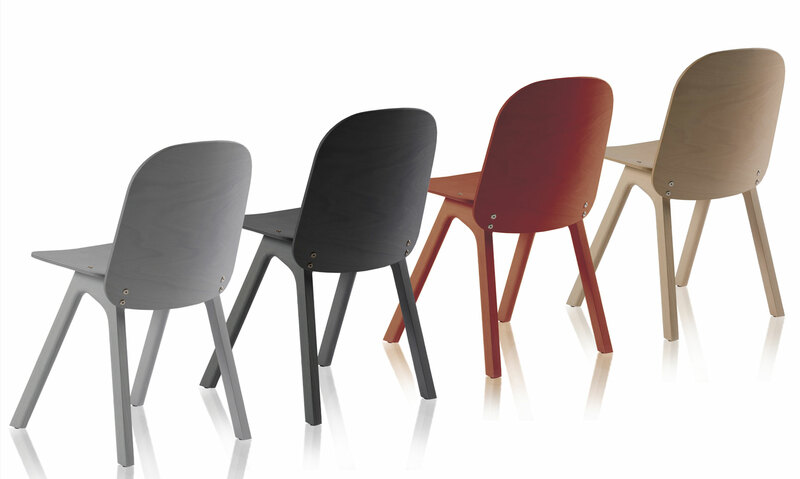 The starting point for the design was a reflection on the constructive components that define all chairs; a seat, a backrest, and legs. 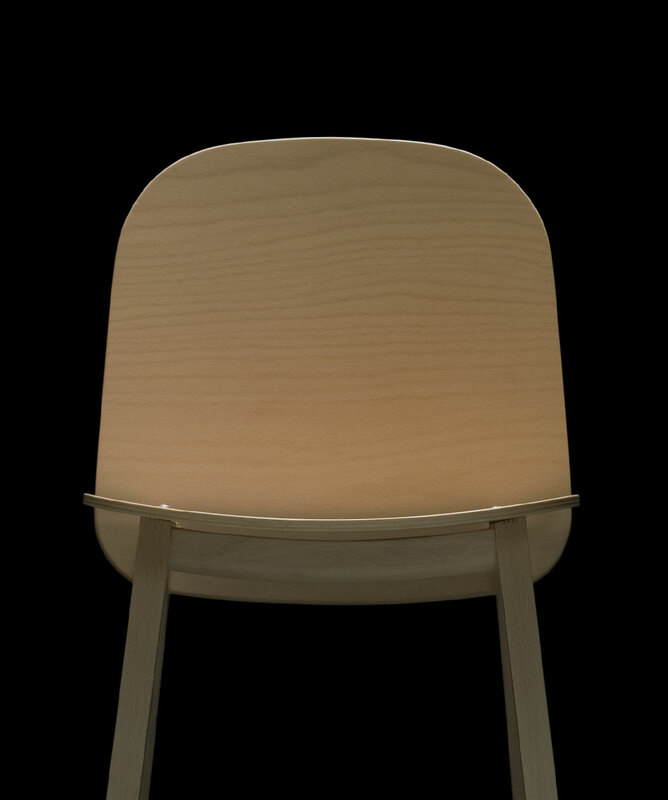 In this case the three elements are visually separated, connected by a single unifying triangle/ wedge. 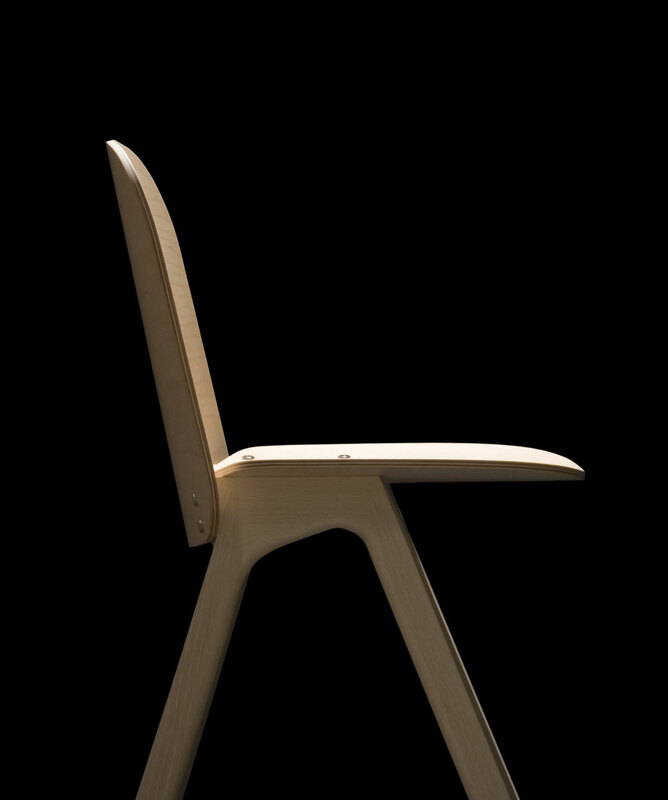 Each side of the triangle serves to fix in place one element creating the structure.